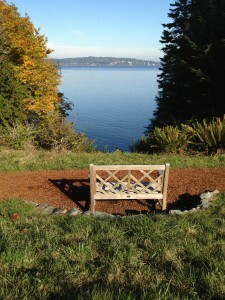 Visiting Bainbridge Gardens is an excursion in and of itself. Acres of garden and landscaping goods, a forest trail, a gift store, a cafe and a playground make it a fun way to get outside. But, Bainbridge Gardens also offers classes. This is a great way to learn about a topic you are interested in and also a nice way to meet other Islanders who have or want to have green thumbs. They have classes for adults, kids, Island Newcomers and in the winter time they have an annual wreath making workshop. Below is a sampling of some of their up and coming July classes. For more classes and info, click here. Create a miniature fairy garden. Class fee includes hands-on instruction, soil, starting materials, your choice of three starter plants, and fairy dust. Choose your own start time. 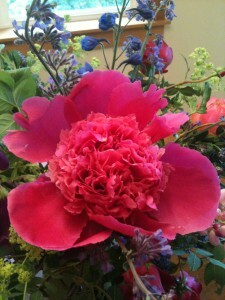 Make a reservation between 1:00 PM and 3:00 PM to start your garden with personalized instruction. Most gardens take about 30 minutes to complete. As a participant in the class, you will receive 20% off the regular price of the ingredients you use for your fairy garden, including your container, additional plants and miniature accessories. CHILDREN MUST BE ACCOMPANIED BY AN ADULT. Wondering what to do or where to start? This popular class offers vital information and inspiration for those new to gardening in the Pacific Northwest or simply for those new to gardening. Fourth of July on Bainbridge Island. The school year is evaporating as I type. One and a half days remain. Two half days for high schoolers taking finals. We are in the last stretch to summer. Wow, that went by fast. The memory of the wettest winter on record in Seattle is almost forgotten as our 70 degree friend called summer is arriving. Yes, we who live here know we live for the glorious summer months in the PNW. May through October are pretty darn fantastic, in fact. Don’t spread that information around too far. We already have a shortage of housing inventory. We sort of want the images of pouring rain they show on Grey’s Anatomy to prevail. Population control, we call it. The sun is here (for the most part) for the next few months. We really like to be outside this time of year. Below are some great options for the Summer of 2016. Rotary International on Bainbridge Island. 1. 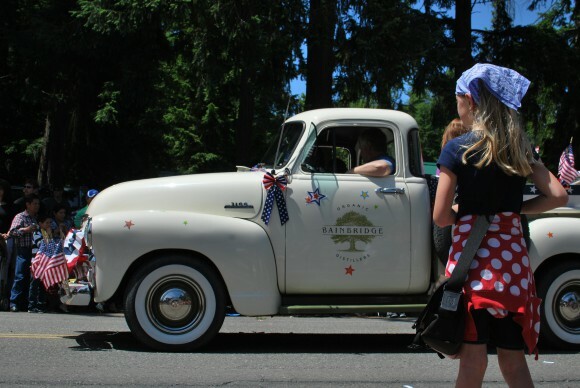 Bainbridge Brewing 4th Anniversary Celebration – July 10th & 11th. Enjoy celebrations both days at the brewery and toast with a Special Edition Anniversary Ale. 2. Bainbridge Block Party – June 19th. Downtown Winslow will be taken over by food and music. Celebrate Father’s Day at a festive block party. 3. Summer Kick-off Concert at Bloedel Reserve – June 25th. Sit outside and enjoy live music from two fantastic bands, Ethan J Perry & the Remedy Band and Duke Evers. Pre-purchased tickets required. 4. 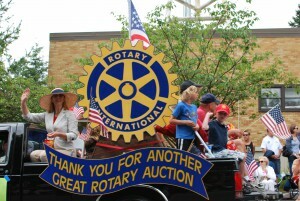 Rotary Auction at Woodward Middle School – July 2nd. A rummage sale like no other. The sale raises about half a million dollars every year. Drop offs begin June 24th. 5. 3rd on July Street Dance in Downtown Winslow – July 3rd. Rev up for the 4th of July festivities at the downtown street dance. Vendors, music and the ever popular Beer (and wine) Garden. 6. 4th of July Parade in Downtown Winslow – July 4th. The quintessential small town parade is the hgighlight of the day. Locals vendors downtown round out the event so you can indeed make it a full day of food, friends and fun. Finish off the day with fireworks over Eagle Harbor, of course. 7. Wine on the Rock – July 23rd & 24th. Two days of wine, music and food at each of the seven Bainbridge Island wineries. 8. Garden Party at Bloedel Reserve – August 4th. Mingle on the lawn while feasting on hors d’oeuvres from favorite eateries and clinking glasses filled with fine wines. Pre-purchased tickets required. 9. LeRoy Bell and His Friends at the Treehouse Café – August 6th. Treehouse Cafe’ is an excellent spot for live music and good food on the island. LeRoy Bell is an island favorite and always draws a large, fun crowd. Pre-purchased tickets required. 10. First Annual Summer Fest at Battle Point Park – August 13th. A celebration of summer and community at Battle Point Park. A nice way to wrap up summer. A free event. Welcome to Derby Downs. 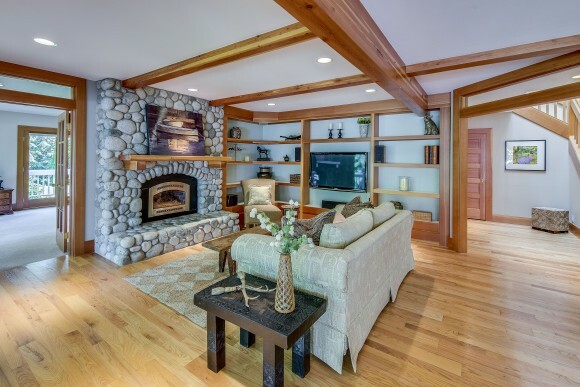 Stunning, light filled home by quality builder Ron Holsman sits on 1.64 acres amongst a serene pond, waterfall, sweeping lawns and lush landscaping. Home is nestled into a private, quiet cul-de-sac of exquisite homes. Inside find a chef’s kitchen, impressive woodworking details and built-ins in a thoughtful floorplan designed for everyday living and entertaining. This equestrian enclave offers an outdoor horse arena and access to acres of trails. 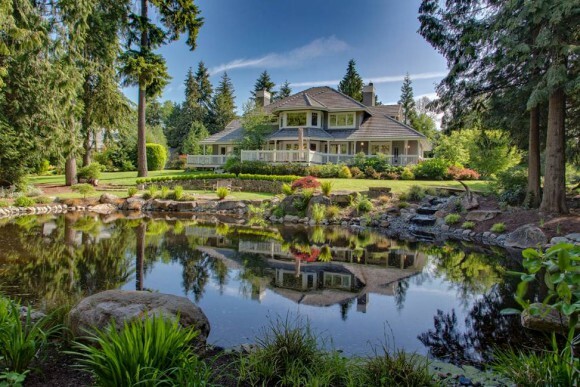 A rare Bainbridge package close to the Winslow, schools, and the ferry. Open House Sunday, June 12th 2016 from 1-4pm.